The branded entertainment firm UNboxd Media has lined up several name actors for its upcoming Web original Suite 7. The series, a weekly anthology featuring seven different couples each staying in the same hotel suite at different times, features Milo Ventimiglia (Heroes, Gilmore Girls), Shannen Doherty (Beverly Hills, 90210), Illeana Douglas and Craig Bierko. Both Douglas—the star and creator of the popular Web series Easy To Assemble—and Bierko, who’s appeared in the Web show The Temp Life—are credited as writers for Suite 7. In addition, Ventimiglia and Doherty are each directing one of the seven episodes. 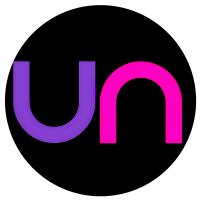 UNboxd has signed on several distribution outlets for Suite 7, including Hulu, YouTube, and Lifetime’s Web site MyLifetime.com. The show is being sponsored by The Better Sleep Council.